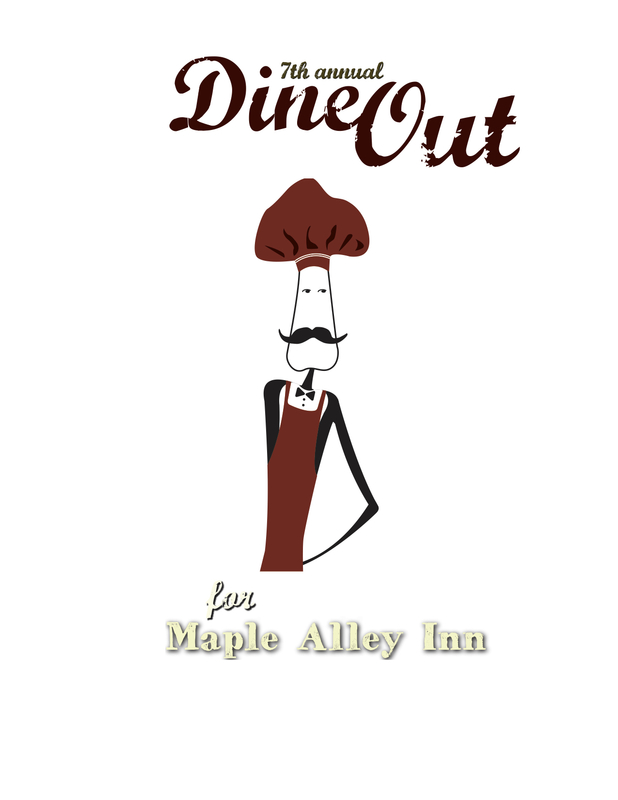 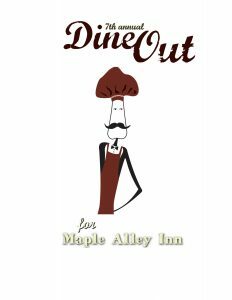 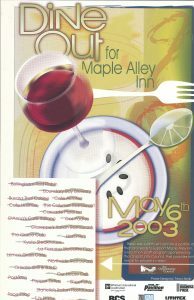 What is Dine Out for Maple Alley Inn? 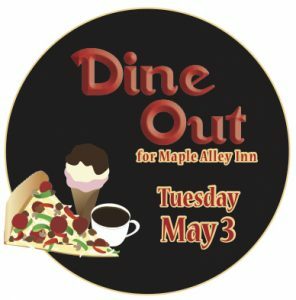 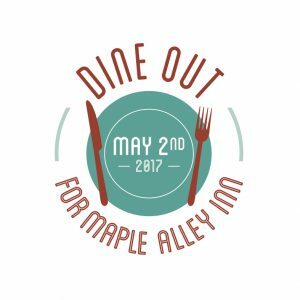 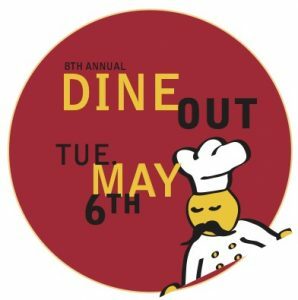 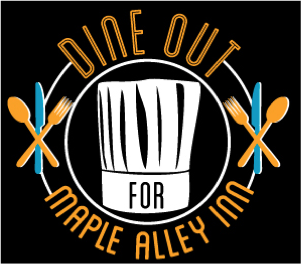 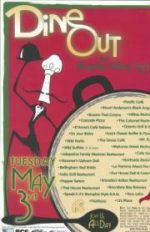 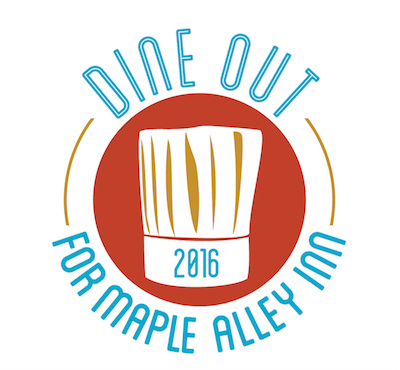 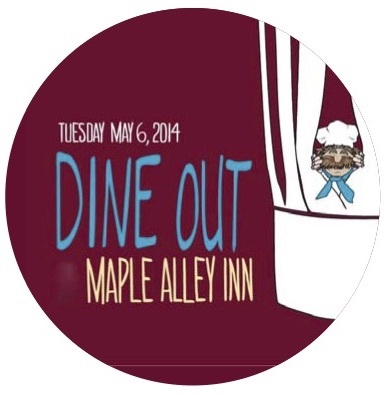 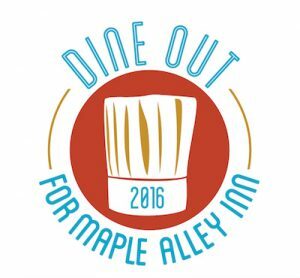 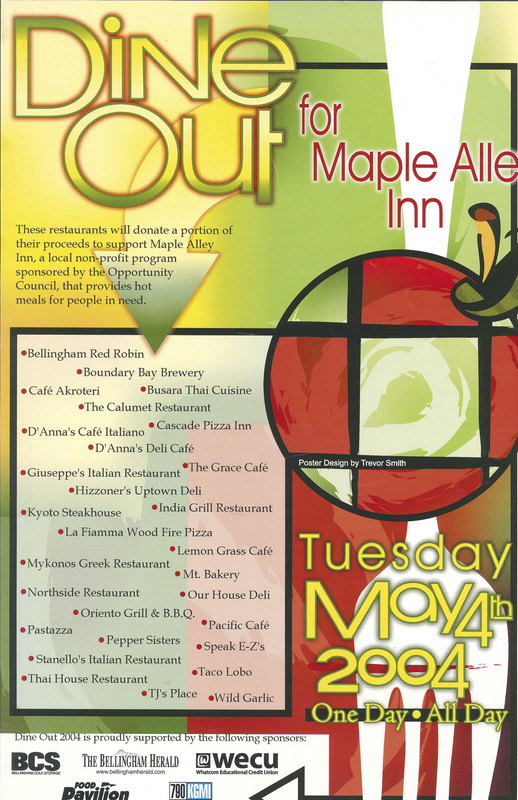 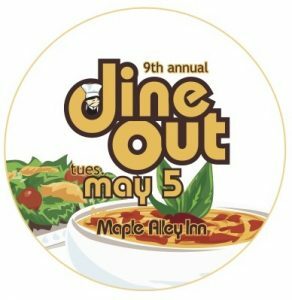 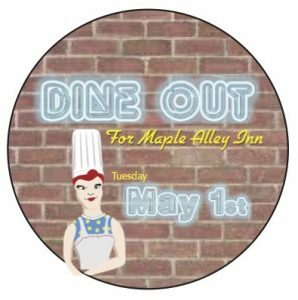 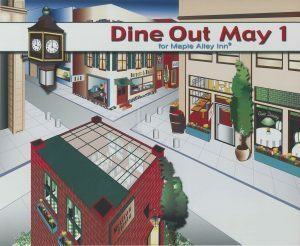 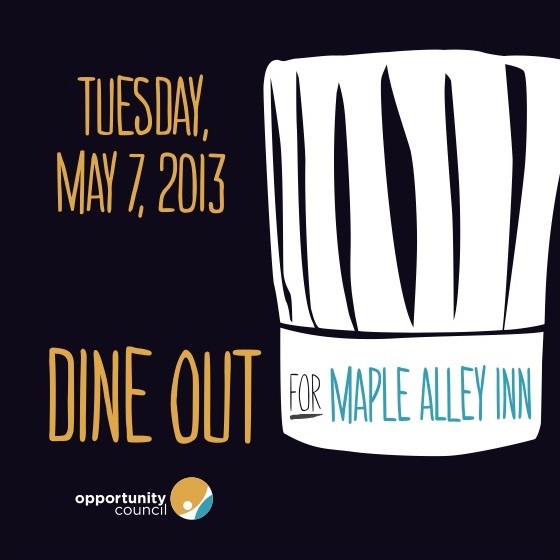 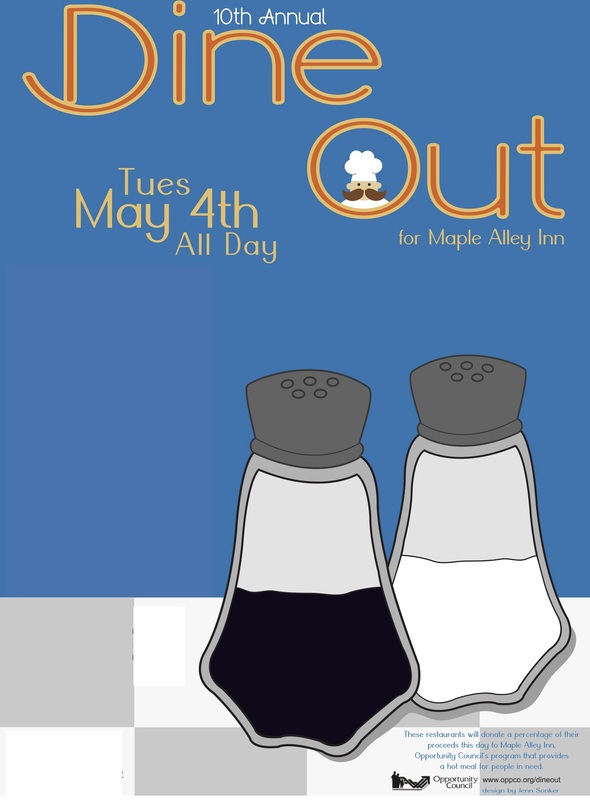 Dine Out is a yearly one-day event that partners with local eateries to help support Maple Alley Inn. 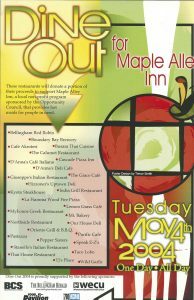 A percentage of every meal purchased goes towards feeding a member of the Whatcom community. 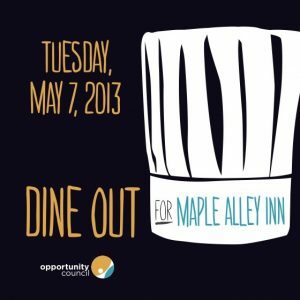 Every dollar will go to supplying people with hot nutritious meals. 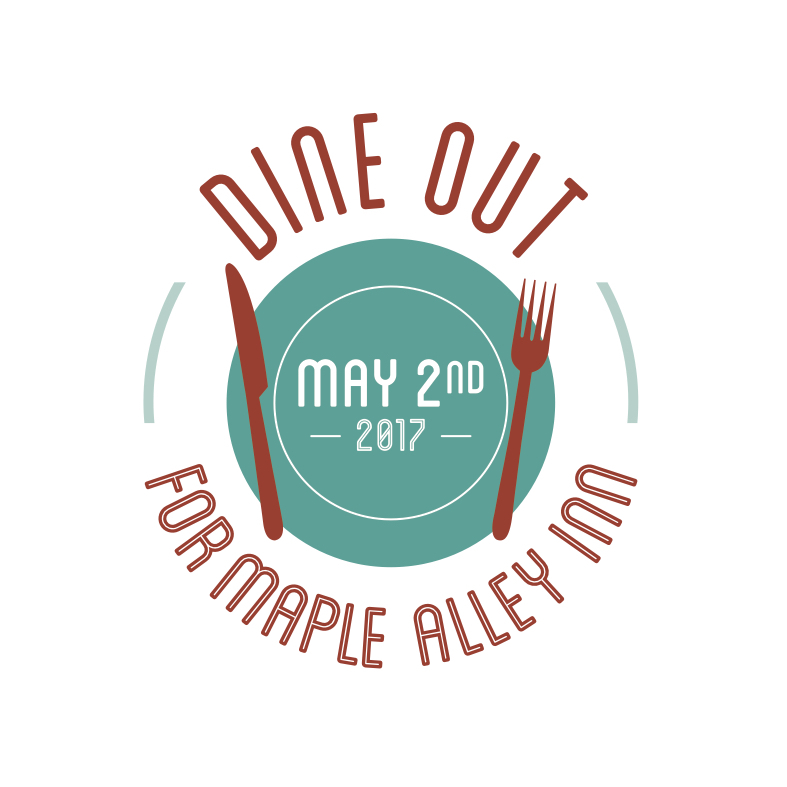 Get a group together and go to your favorite restaurant to enjoy a great meal and support Maple Alley Inn! 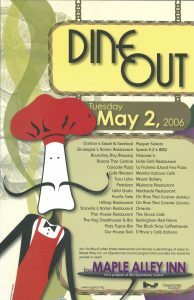 These local restaurants have been participating since the beginning. 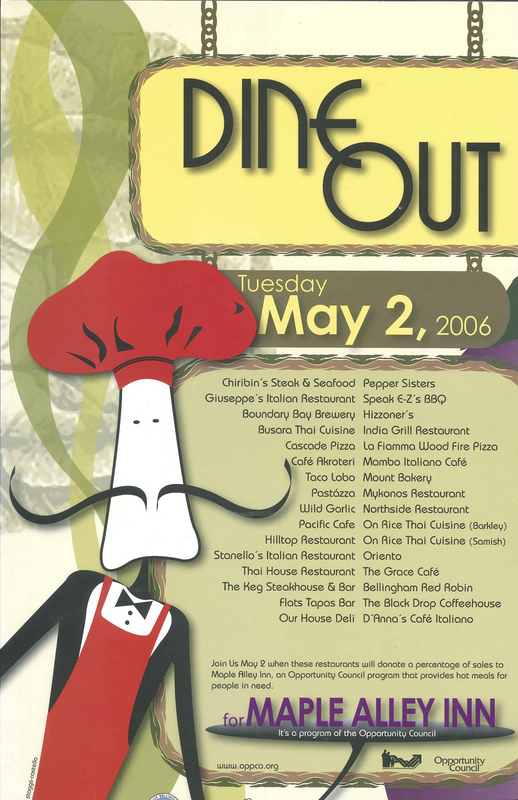 These local restaurants have participated 10+ years.